Thank you all so much for the feedback, we are really glad to hear that the case studies bringing social media to life have helped consolidate all the technical matters we normally write about in this column. We will continue to bring you general news and information about social media and the online world, but mix in more real-life illustrations to demonstrate how social media affects real life businesses and organisations. 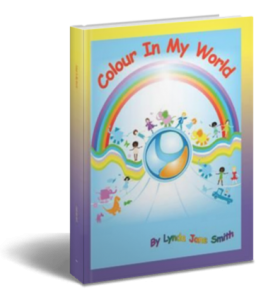 One person who has used social media very creatively is local author Lynda Smith, who has written Colour In My World, a self-help book for children and educators, about how different people relate to and appreciate different colours. “The language of colour is truly universal”, says Lynda. “For children especially, less confused and affected by our adult notions of fashion and association, the way they relate to colour is very pure and unspoiled. And it’s wonderful how children around the world share these values universally”. Being based in the Costa Blanca, social media and her own website have helped Lynda reach out to new audiences further afield, with her book and also a new song she wrote earlier this year. Parents and grandparents too find the book a great gift for children of a wide range of ages, because the activities and illustrations can be engaged with on a number of different levels depending on the age, and teachers find the mix of engaging illustration and clear language and information a boon in the classroom. To launch “The Rainbow Song: Peace and Love 2012” Lynda made use of a blog post which told the story of the how the song came to her, and why it was needed – teachers who had enjoyed the book, but expressed regret that there wasn’t a simple, child-friendly song that taught the colours in the rainbow correctly. “We recorded the song and made a video which has been distributed on You Tube, making use of images from the book to reflect the diversity of children and colour throughout the world. It’s amazing to think that not only my own grandchildren are singing the song, children are learning it in groups in the classroom and sharing it with their friends, in different countries. Rainbows and the values of the song – all about coming together to celebrate and embrace what is different and unique about each individual yet how we are all united – resonate with so many different groups, and children find the tune and lyrics easy to remember and enjoy. “We blend different elements of social media together to get the message out as widely as possible. 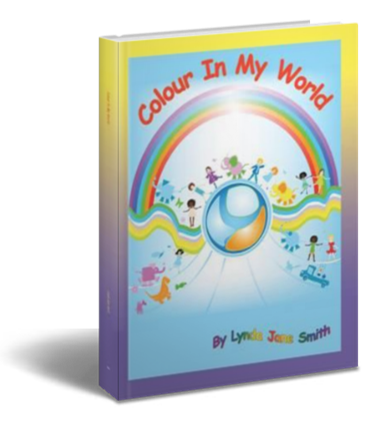 The blog, which tells stories like the making of the song and events where the book and the song have been enjoyed, feeds directly to our website at http://www.colourinmyworld.com. Then we share articles from the blog, as well as other interesting news about colour, via our Facebook Page and Twitter account. Placing the video on Youtube has made it easy for teachers and families to bring the song to life, either on their computers at home or in the classroom on interactive whiteboards. And hearing the song performed by other children’s voices helps them connect it easily with their own experiences”. Lynda shares news on Facebook and Twitter about everything from colours in nature, scientific research about how colours affect things from mood to academic performance, and trends and fashions – truly every aspect of ‘colour in our world’. “We are finding Pinterest a rich source of visual material to curate, such as people making incredible rainbow cakes and crafts – although we are not ‘pinning´ ourselves yet, we are enjoying seeing what a vast range of creative ideas can be found there, especially on our favourite theme of Rainbows!” Recent changes to Facebook’s reach for Page posts is leading to a reconsideration of the best way to share information with the community of ‘colour fans’ in the future, but the approach will always be multi-modal, using social media to reach people where they are, the way they choose to engage. Lynda is also involved in a movement called “Twitmas”, which is all about helping makers and creative people from across the world to help each other this Christmas, using social media to share gift ideas and promote each others work. We will be writing more about this group in a few week’s time but for now if you are tweeting check out the hashtag #twitmas for some great creative gift ideas. Are you using social media creatively within your business? If you would like to be featured in our ‘social media in action’ slot, please email info@costaconnected.com and we will get back to you for more details.